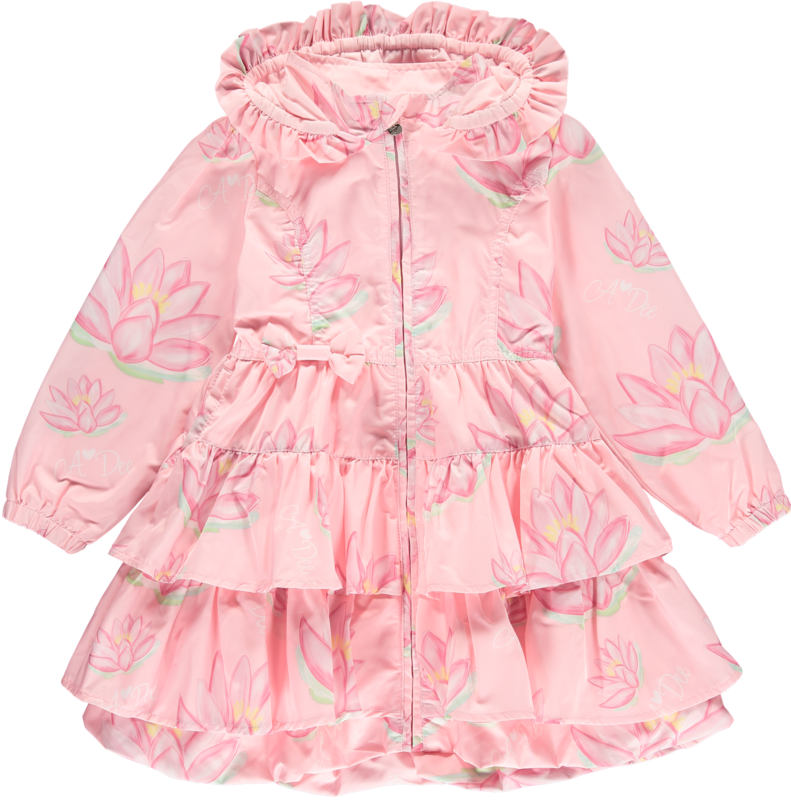 Beautiful pink shower proof coat with water lily print. 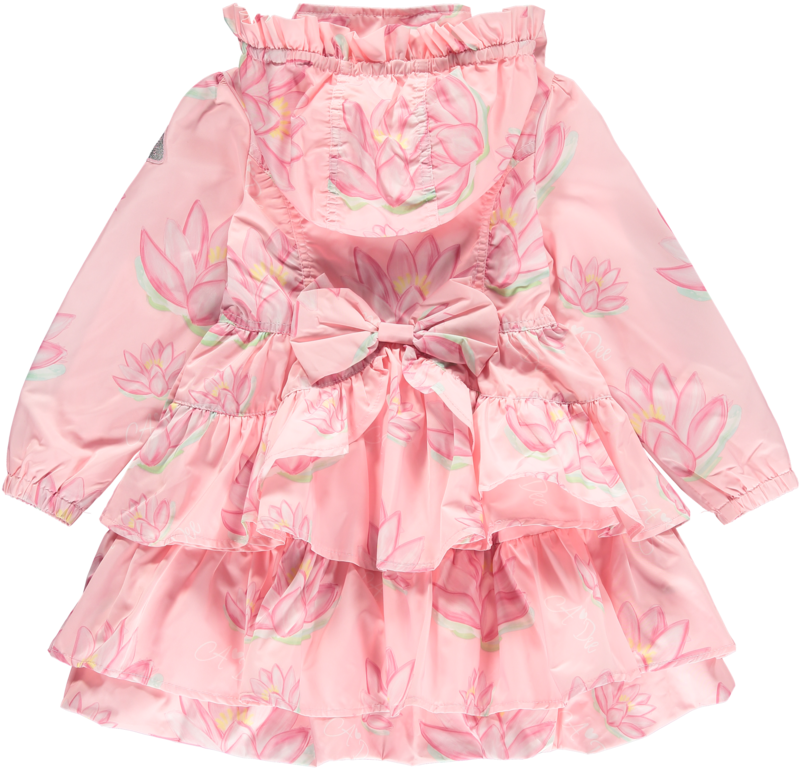 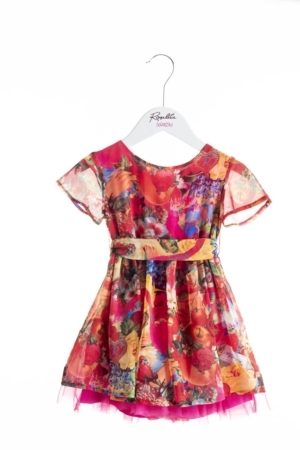 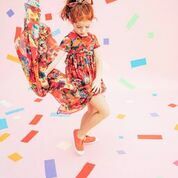 Double deep frill with bow detail. 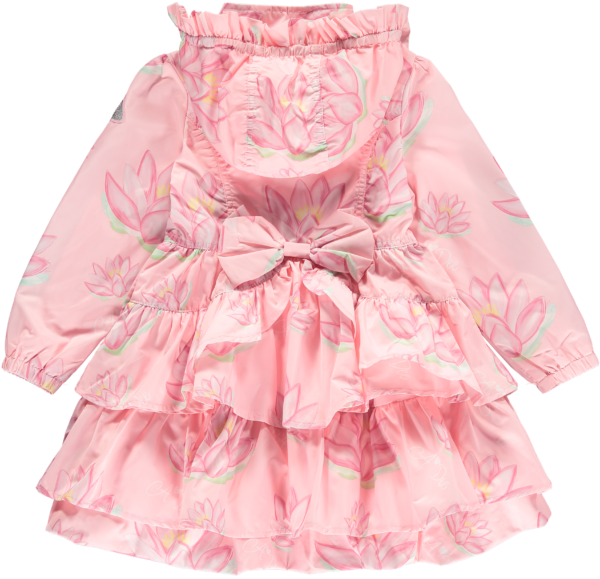 Fully lined with soft pink cotton jersey. 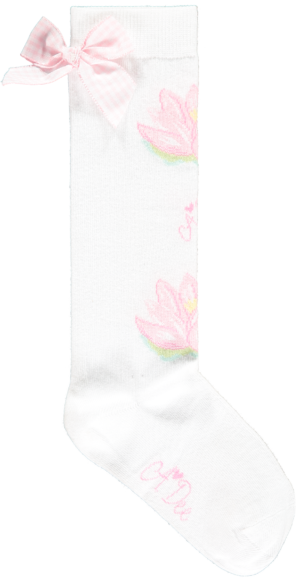 Pretty white cotton knee high with water lily print & satin bow detail.